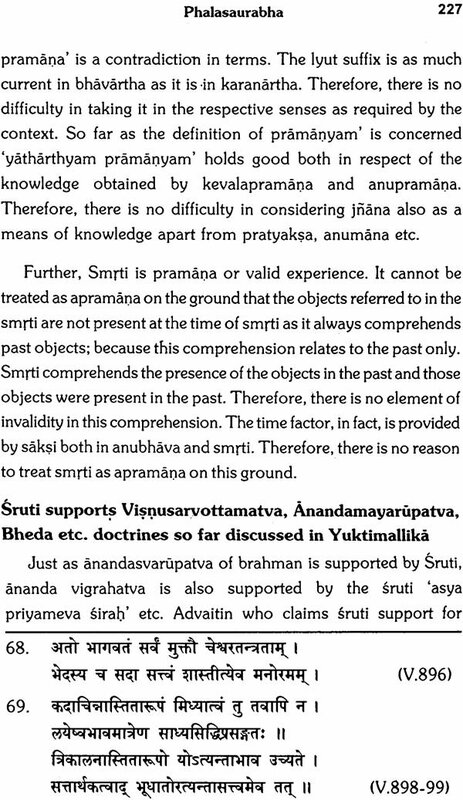 Essentials of Yuktimallika of Sri Vadirajatirtha gives an exposition of Dvaita Vedanta Philosophy propounded by Sri Anandatirtha (Sri Madhvacharya). It is planned in five chapters viz. Guna Saurabha, Suddhi Saurabha, Bheda Saurabha, Visva Saurabha and Phala Saurabha. 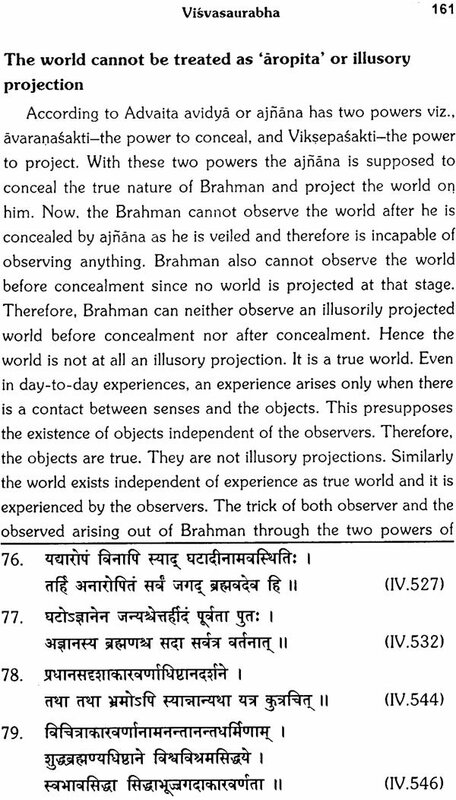 This broadly agrees with the plan of Brahmasutra. Gunapurnatva and Nirdosatva of Brahman is presented in first and second chapters. 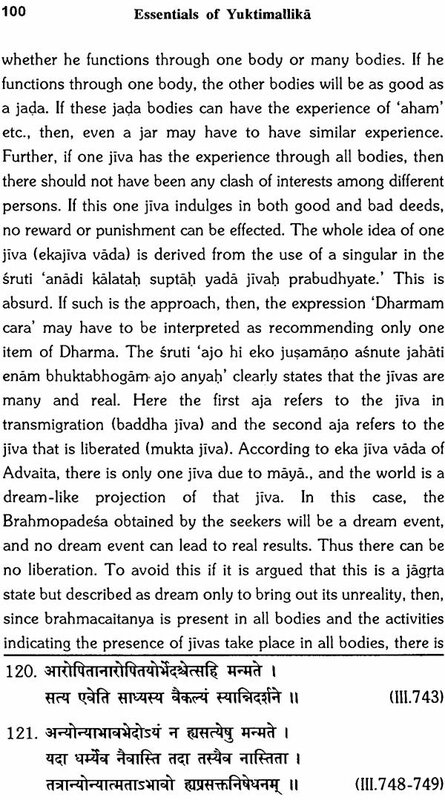 Jiva brahma bheda is established in the third chapter. 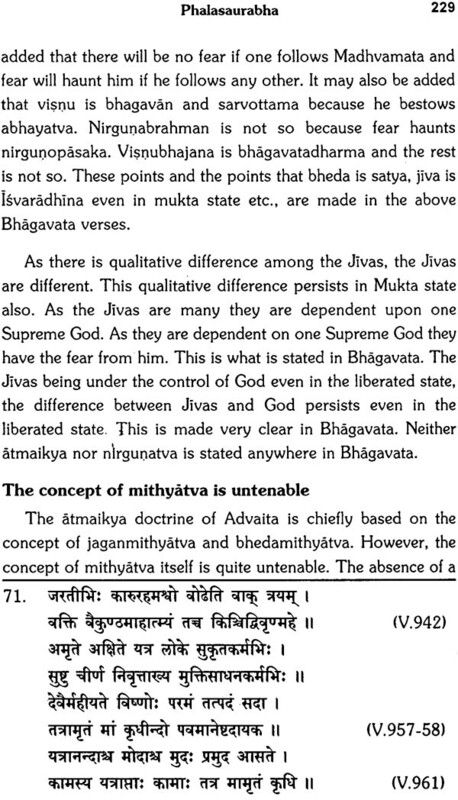 Jagat satyatva is explained in the fourth chapter and the nature of Phala i.e. Moksa is described in the last chapter. 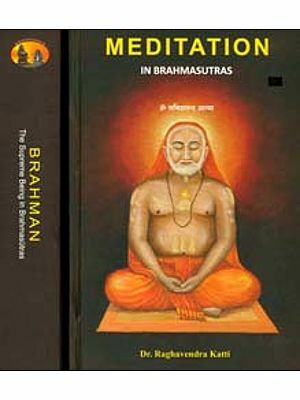 In the first chapter before presenting Gunapurnatva of brahman, the views of charvaka, Jaina, Bauddha and Vaisesika are reviewed. Nirguna brahmavada of Advaita is rejected in detail and the Gunapurnatva is established. This entire work is in verses. Sri Vadiraja is both a poet and a philosopher. He has presented the philosophical concepts with poetic illustrations. The first chapter itself runs into one thousand and nineteen verses. The hole text consists of 5,379 verses. This volume contains a brief summary of the entire text of the Yuktimallika. It is hoped that this will be useful for the students and Research Scholars. 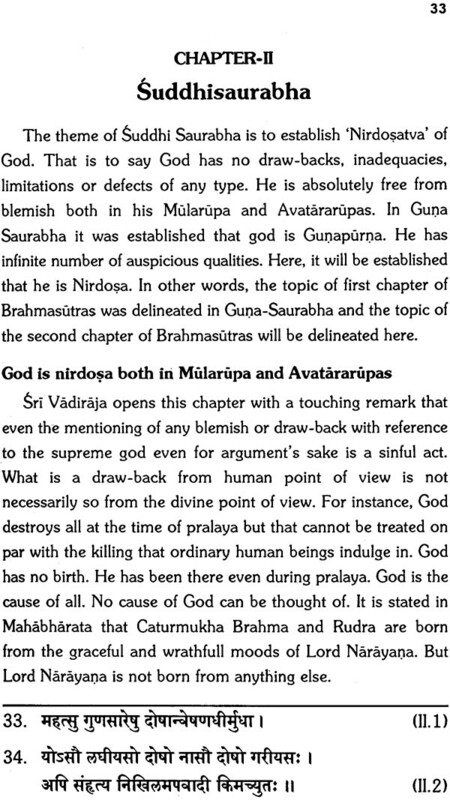 Sri Vadirajatirtha, the author of Yuktimallika is one of the great names in the field of Dvaita Vedanta. He was the sixteenth pontifical head of Sode Math-one of the eight Mathas established at Udupi by Sri Madhvacharya. He had a long life of 120 years and flourished between 1480 A.D. and 1600 A.D. He was a poet, a philosopher, a social organiser, a great debater, a prolific writer, and to crown all this a saint of great mystic eminence. He hailed from the village Huvinakere near Kumbhasi in the Kundapur taluk of the Udupi district in Karnataka. He was the son of Ramacharya and Gauri. His Purvasrama name was Varahacharya. He was born with the blessings of Sri Vagishatirtha and was ordained to Sanyasa by him at the age of eight. He studied under Vagisatirtha and Vidyanidhitirtha a disciple of Vagisatirtha. According to one tradition he studied under the great Sri Vyasaraja also for some time. He travelled all over India and composed a poem Tirtha Prabandha that gives an account of the sacred places visited by him. The Nayakas of Keladi, the Jain Chieftains of Mudbidre and Karkal had great regard for him and made Grants to his Matha. Arasappa Nayaka of Sode was his devotee and granted the village of Sode to his Matha. Since then Sode in the North Kanara district near Sirsi has been the second head-quarter of this Matha. Sri Vadiraja has established the Trivikrama temple at Sode which is reported to have been brought by him from North India being carried by his disciple Bhutaraja or Narayana Bhuta. The Tapovana area on the bank of river Salmali near Sode has charming natural surroundings quite congenial for penance. 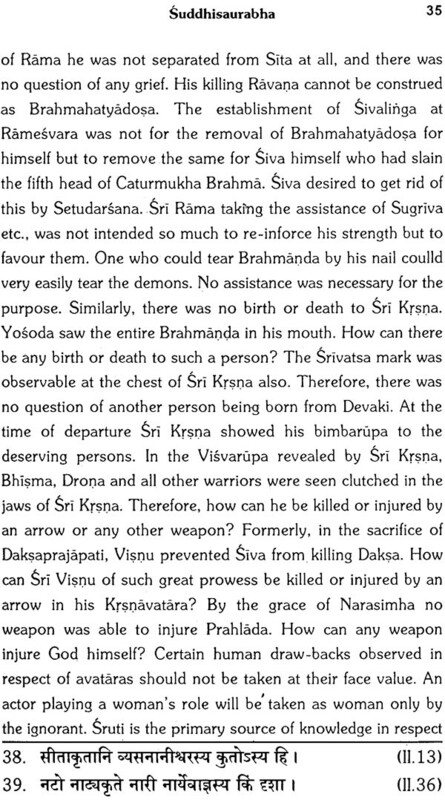 Sri Vadirajatirtha admitted kotesvara brahmins to Dvaita faith. He also accepted the goldsmiths of South Kanara as his disciples. He established a Sivalinga i.e., Manjunatha at Dharmasthala, and a thousand Sivalingas at Kumaradhara. At the Krishna Matha at Udupi he introduced several measures of organisational improvements. It was he who fixed the duration of paryaya as two years. formerly it was one and half month for each Matha and all eight Mathas used to have a turn every year. Hayagriva form of Lord Visnu was the upasyadevata of Sri Vadiraja. Lord Hayagriva used to receive naivedya from him personally everyday. On two occasions this was revealed to some deserving souls. A learned brahmin who had the misfortune of becoming a bhuta or goblin was brought under his control by Sri Vadiraja. He served Sri Vadiraja faithfully and got out of that unfortunate state. The ancestor of the writer of this introduction Sri Anandabhattaraka Padurangi was especially blessed by Sri Vadirajatirtha by deputing him to debate with an Advaita scholar. He blessed him to get a scholarly son who was named as Gururaja as a mark of respect of Sri Vadirajatirtha. A full account of the great deeds of Sri Vadiraja is found in two biographical poems i.e., Sri Vadiraja Caritamrta and Sri Vadirajavrtta Sangraha. Svapna vrndavanakhyana gives the information regarding his being a member of Rijugana i.e. latavya who would attain Vayupadavi next to the present Vayu. Sri Vadiraja is a prolific writer. He has nearly sixty Sanskrit works to his credit. 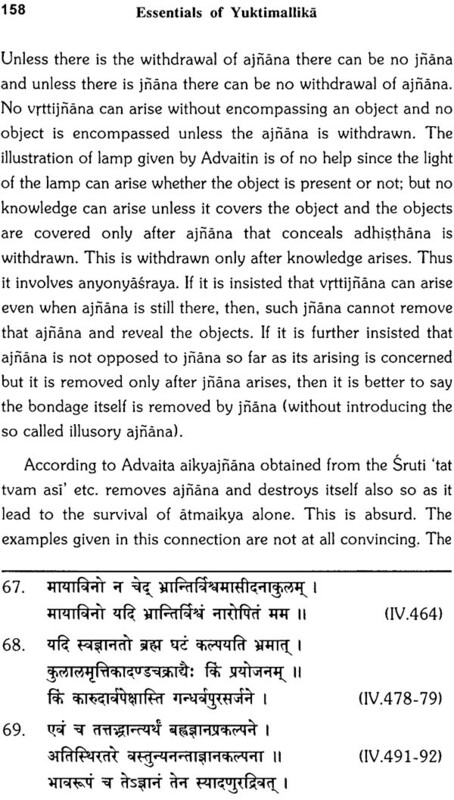 Under Sutra-Prasthana he has two commentaries i.e. one on Tatvaprakasika another on Sudha: both are called Gurvarthadipika. There is a short commentary on Isavasyopanisad. A commentary on Gita Bhasya is also reported. 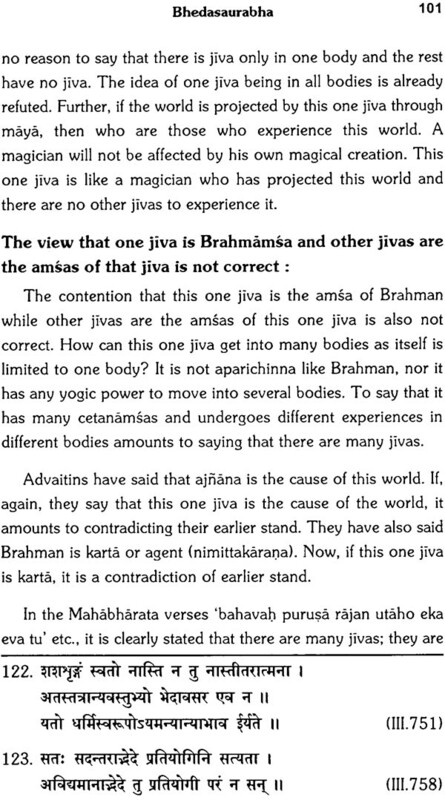 His Vivaranavrana is a criticism of Panchapadika vivarana of Prakasatman. His commentaries on Khandanatraya are known as Upanyasaratnamala. 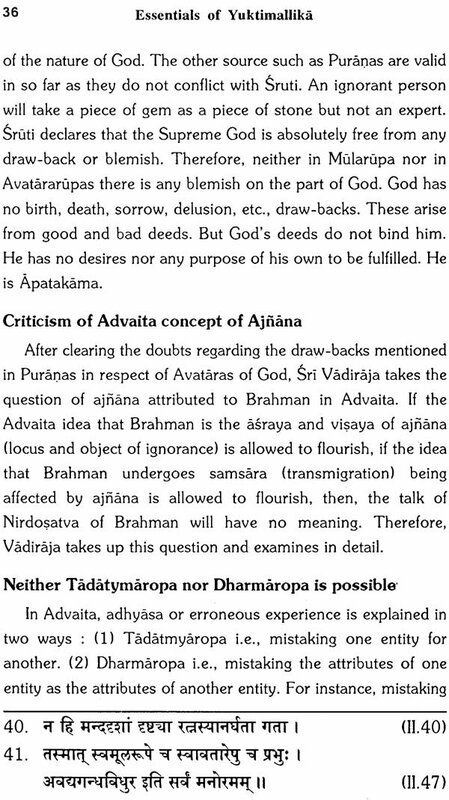 Pasandamatakhandana is a criticism of Jainism and Buddhism. Yuktimallika is his magnum opus. The contents and the importance of this work will be fully discussed below. 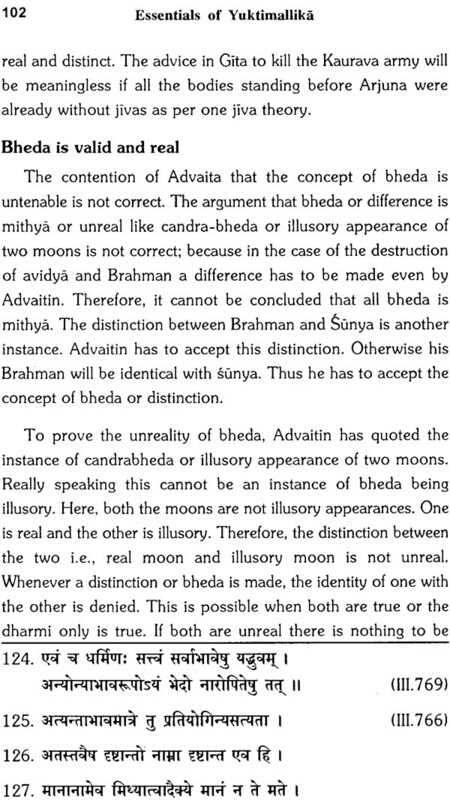 Nyayaratnavali and Madhvavagvajravalli are the two treatises that critically review the Advaita doctrines. 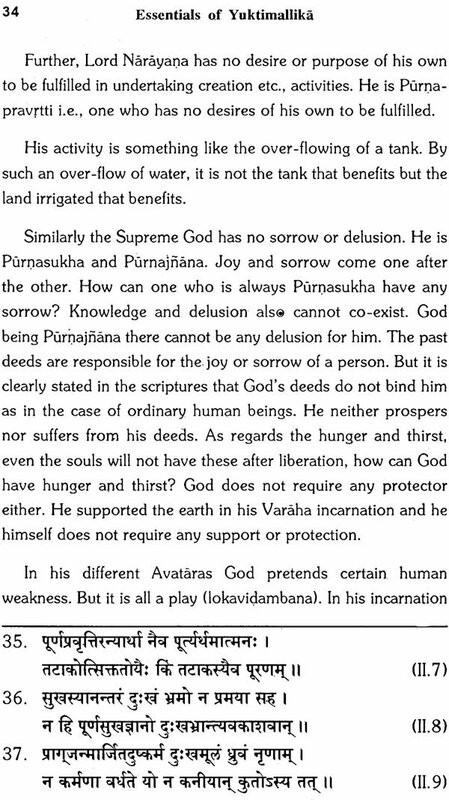 Laksalankara of Laksabharana is a unique commentary on Mahabharata. It is so called because it is a commentary upon a work i.e. Mahabharata that has a lakh of verses. This commentary though very brief, interprets such key words and key verses that have a philosophical significance. 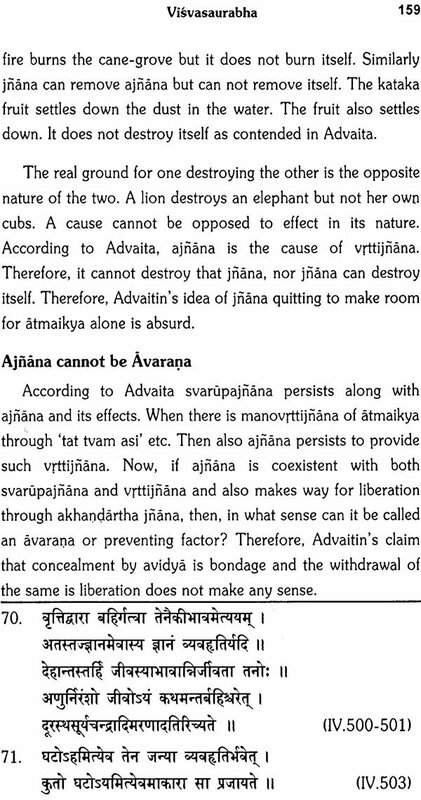 The portions on Sanatsujatiya and Visnusahasranama are in detail. 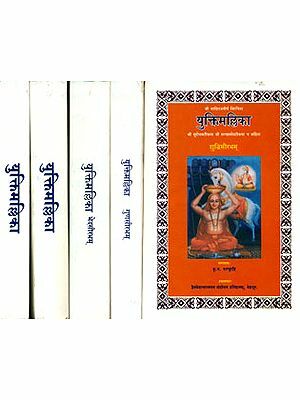 Bhavaprakasika is a commentary on Mahabharat tatparya nirnaya. Many crucial points made in Tatparyanirnaya are clarified in this commentary. 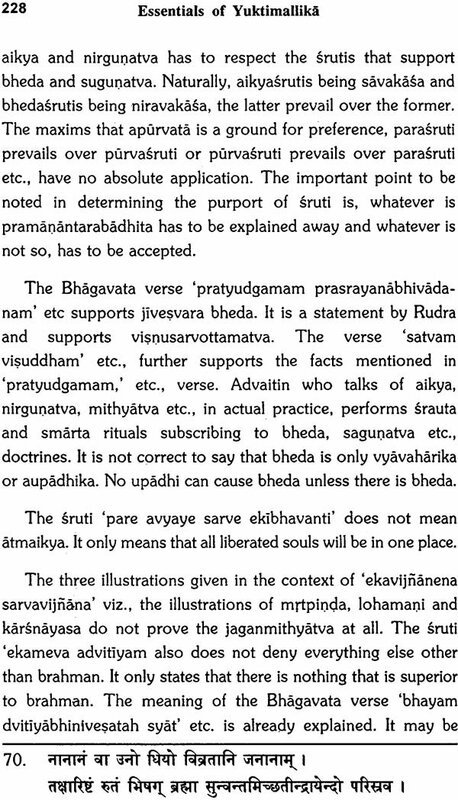 In his work Srutitatvaprakasika he discusses the interpretations of Pancamahavakyas or five great sruti passages that are supposed to support Advaita, and points out how the contention of Advaitins is baseless. In a small theological work chakramimamsa the practice of taptamudra is defended. He mentions that it is not only practised by the followers of Madhvamata but also, by the followers of Ramanuja, Nimbarka, Visnu Swamin and even a section of Advaitins. (Probably Bhagavata-Sampradaya section) Haribhaktikalpalata discuss Vedapauruseyatva. 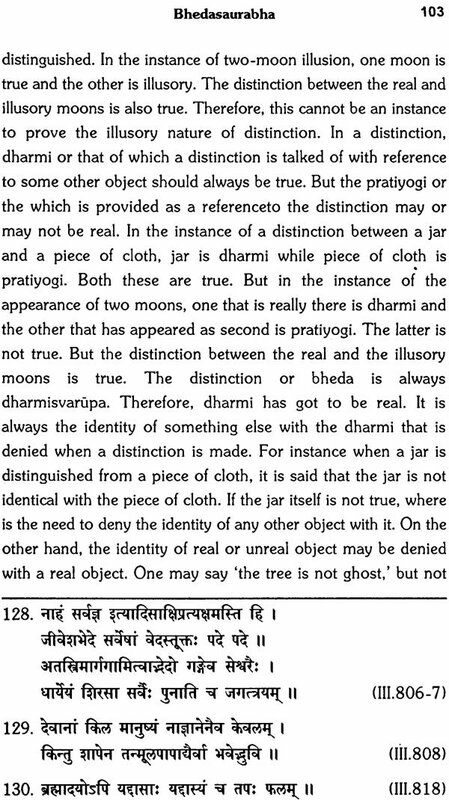 Upanyasaratnamala different from the one mentioned above deals with the gradation of souls. Rukminisa Vijaya is a Mahakavya dealing with the same theme as of Sisupalavadha of Magha. This was composed when Sri Vadiraja camped at Poona. On seeing this poem the Peshwas of Poona honoured Sri Vadiraja for composing a poem that excelled Magha's poem. Tirthaprabandha is already mentioned. Sarasabharathivilasa is a short poem describing parasuklatraya. Sri Vadiraja has composed a large number of stotras in Sanskrit. Among these Dasavatarastotra in Asvadhati metre is very popular. Apart from his Sanskrit works he has composed devaranamas in Kannada with the ankita of Hayavadana. Vaikunthavarnane, Haribhaktisara, Svapnapada, Gundakriya, Kicakavadha etc., are some of his devaranama collections. Besides there are good many individual devaranamas. He has rendered Bhagavadgita, select episodes of Mahabharata, Ramayana and Bhagavata into Kannada. Thus he has enriched Dvaita literature both in Sanskrit and Kannada. He has written both for scholars as well as common man. His works have scholastic appeal as well as devotional appeal. We find in him a scholar, a poet, and a great saint of mystic eminence.